The puncture proofing on this tyre is outstanding whilst the grip and cornering are exceptional. 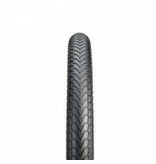 A superb puncture proof tyre with exceptional grip and incredible cornering makes this tyre perfect for road, touring and hybrid bikes. A must for your commute.